After traveling from south to north of Vietnam, next stop for us was Thailand. We flew from Hanoi to Suvarnabhumi airport in Bangkok. The process of getting Visa on arrival is smooth but the queue quickly gets long. Indian citizens get a single entry 15-days visa after paying 1000 Baht fees. Bangkok had really good public transport. We took the train from Airport to 'Phaya Thai' station and then transferred to another train to reach 'Surasak' station. Our hostel was 5 min walk from the train station. We stayed at Saphaipae hostel which was clean, affordable and a good place to stay for few days. Next morning it was time to explore the city. 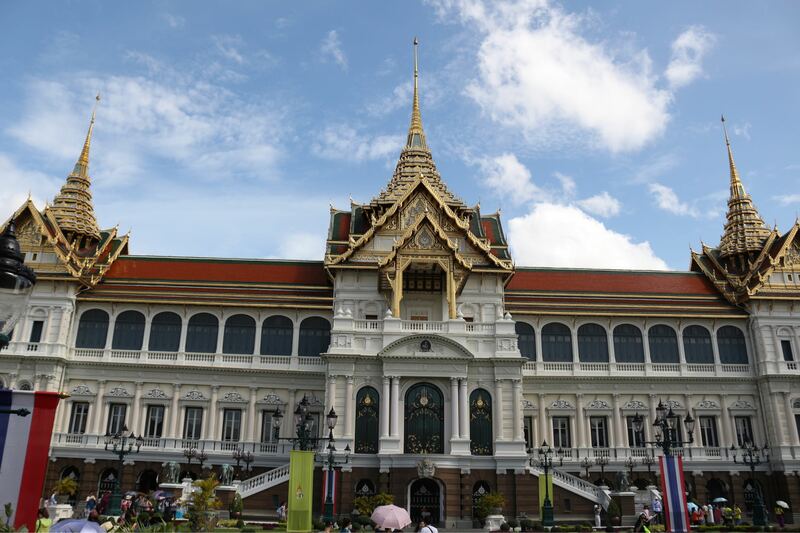 We started with The Grand Palace that is the royal residence of the King. We took a boat from 'Saphaie Taskin' station to 'Tha Tien' and then a short walk to the palace. 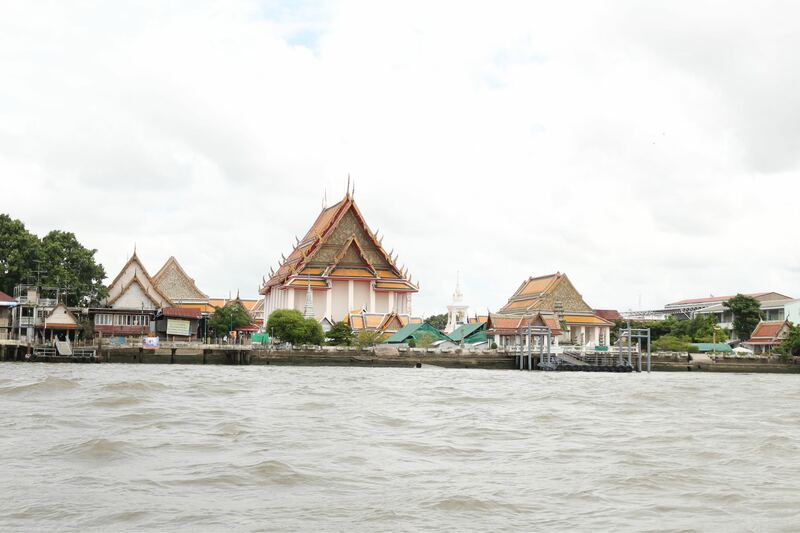 Chao Phraya River runs through the Bangkok city - there were a lot of fancy hotels on each side overlooking the river. 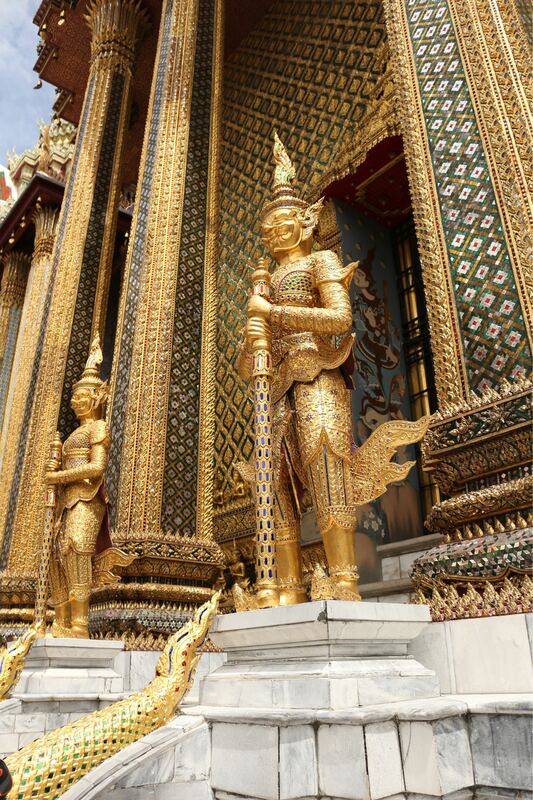 The Grand Palace is a complex of buildings, which is the official residence of Kings of Siam since 1782. The Grand Palace is divided into four main courts - Outer Court, Inner Court, Middle Court and Wat Phra Kaew (Temple of the Emerald Buddha). 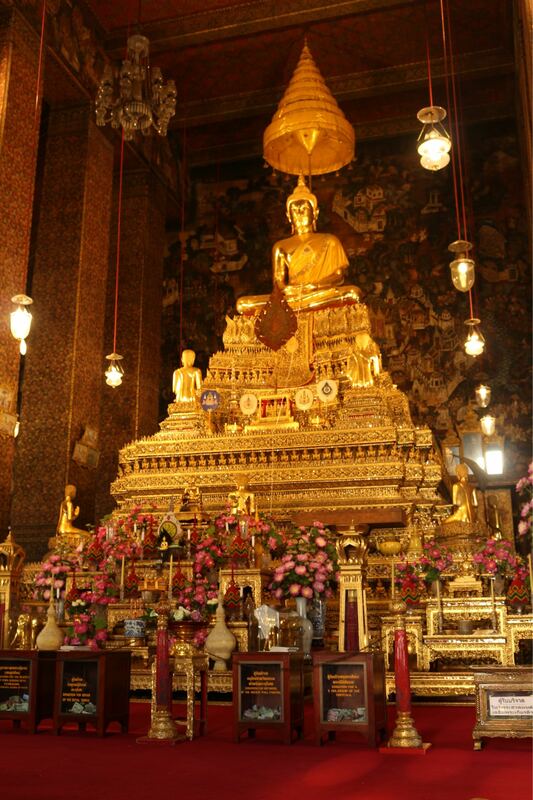 There is a very strict dress code to visit the temple as Temple of Emerald Buddha is considered to be the Thailand's most sacred site. All visitors need to be properly dressed before entering the temple. Men must wear long pants and shirts with sleeves, women also need to dress modestly - no see through clothes, tank tops, and shoulder to be covered. Please take a look at their website for dress-code restrictions before visiting else they will not allow you to enter and you might have to buy overpriced cover-up clothes from nearby shops. I would highly recommend renting an audio guide for the visit as it clearly explains the architecture and history of the Grand Palace. Entry fee for the palace was 500 Baht per person when we visited. 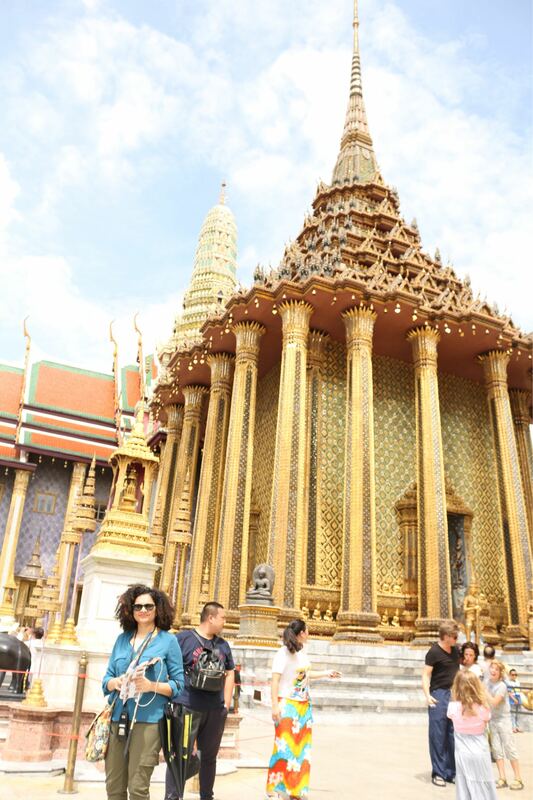 It takes at least 3-4 hours to visit the Grand Palace if you want to see each and every section. We were very tired after the visit as it was very hot and humid in August. 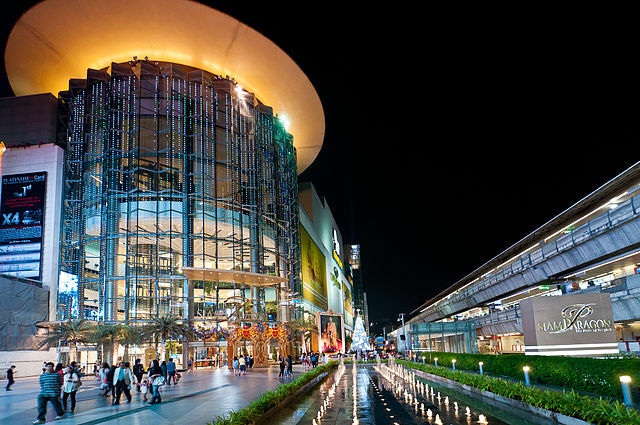 This place is one of the main attractions in Bangkok and usually very crowded and chaotic at times. Later we had a nice lunch near the Palace grounds and visited Wat Pho temple(The Temple of Reclining Buddha) which was next to Grand Palace. 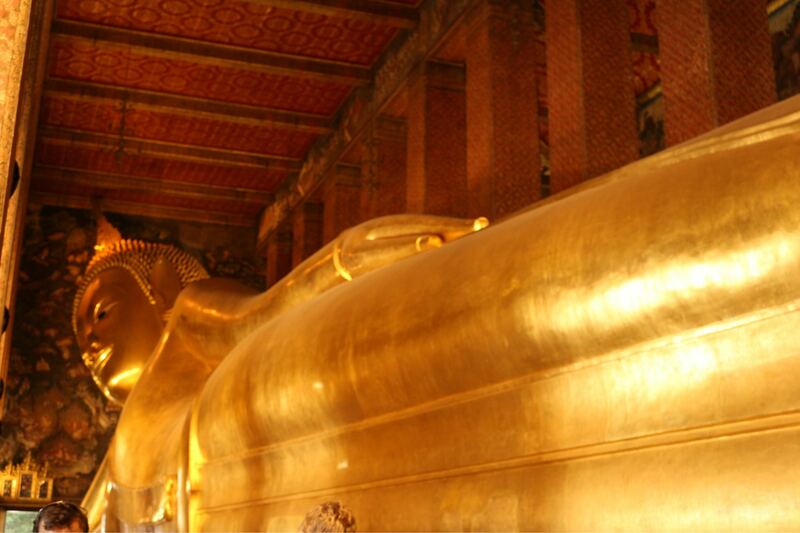 Entry fee for this temple was 100 Baht and was definitely worth the visit to see the huge reclining Buddha statue. 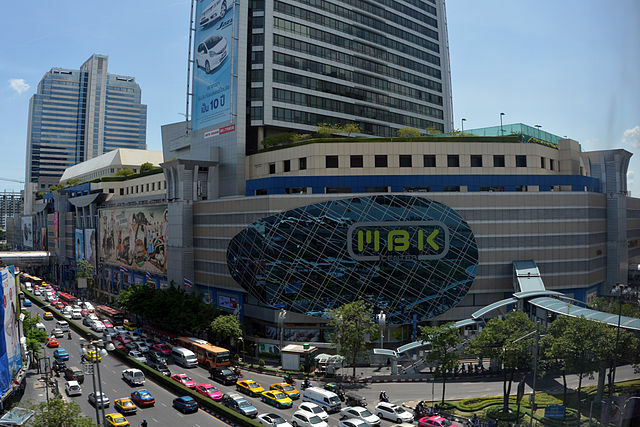 Next day, we decided to visit malls in Bangkok - it was a big respite from the afternoon heat. We took the train to 'Siam' station - a central area where all the malls are located. This place is considered to be a shoppers haven. You can get everything here - from fancy branded clothes and gadgets to their cheap duplicates. After shopping and walking around for 5-6 hours, it is a must to have the traditional Thai massage. There were numerous shops around Siam area that offer a wide range of massage and spa services. We opted for foot reflexology, which was very relaxing after a long day. 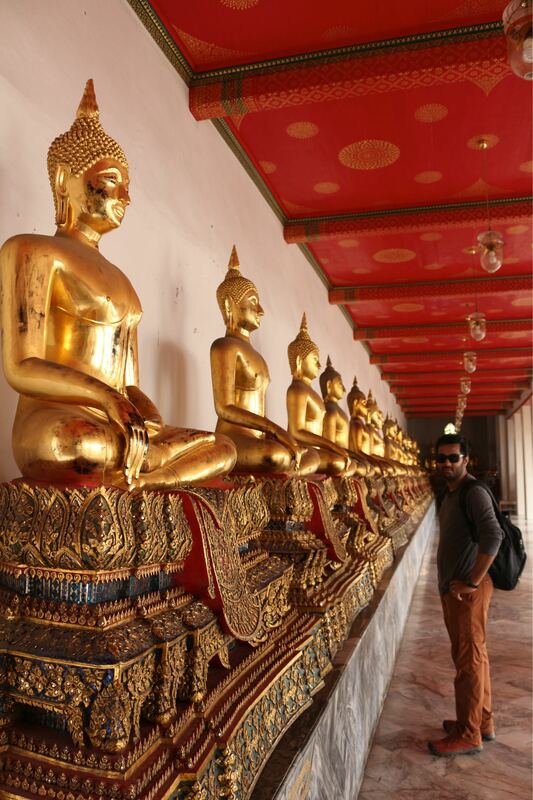 Next, we had plans to visit the ancient city of Ayutthaya that is around 80 Km from Bangkok. We booked a group tour from our hostel and had a very bad experience. On the day of the tour, I was not feeling well and asked the tour operator whether we can reschedule. He said we can't and had to cancel with no refund since the seat would go unallotted. A few minutes later when we told him that we don't want to cancel and would continue the tour - he told us that he had already canceled our reservation and given it to someone else. When we asked for a refund he said it's forfeited because we didn't give 24 hours notice. I don't remember the tour service name but it was from Saphaipae hostel. Just be careful with conning agents and make sure you have read their refund and cancellation policies. Next few days I was down with flu like symptoms having cough and cold. We didn't travel much and stayed at the hostel. 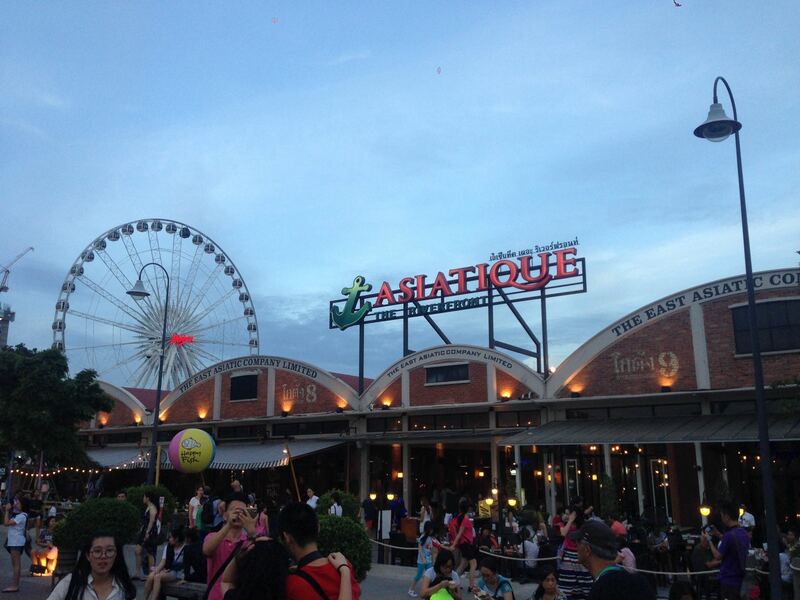 Before leaving Bangkok we visited Asiatique riverfront market which is like farmer's market that becomes lively at night. It is a good place to spend an evening if you have time. 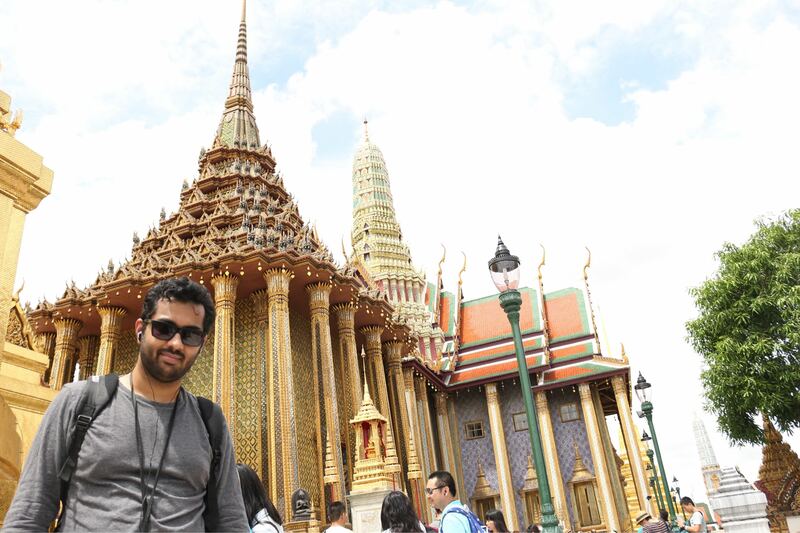 Overall Shuchi and I liked Bangkok a lot - we felt right at home. It was a bummer that we were not able to visit Ayutthaya and Chiang Mai due to my bad health - may be will cover this in our next visit.